The Top producer says she is proud of the way she worked her way up after growing up in a struggling family in the Philippines where her parents had encouraged her to get her law degree. There are many qualities and skills that go into being an excellent real estate professional – integrity, in-depth community and market knowledge, marketing savvy, effective negotiation skills and a high-quality professional network, all of which are hallmarks of how she works. What sets her apart from other competitors in her market? She tries to run a very clean business and is always available for clients. Providing the very best service is essentially about putting clients first. This means keeping herself accessible, being a good listener as well as a good communicator, and responding quickly to clients’ needs. This “client first” philosophy has always been her approach and it requires her to continually improve her skills and ways of doing business. "Tried to sell my house by myself for over a year, with no results. I went shopping for professional help in selling my property and went through many agents because the only thing they were interested in, was their COMMISSION and not my needs and ...read more »"
"It is unbelievable how dedicated this lady has been in helping us buy a family home. We have specific needs and she lined up many houses and fit it into our schedule. Her recommendations for strong LOCAL lender and inspectors helped us win in a ...read more »"
"I LOVED working with Uzzil. I was an annoying buyer, who had a million questions and texted her nearly every day. Uzzil was always prompt in responding (even if it was at 1 am or 7 am) and answered my questions with a great attitude. ...read more »"
"Uzzil is an amazing RE agent. She was always patient, helpful and astute. She assisted me with the purchase of investment property. Due to her keen negotiating ability we got all the terms and conditions we requested. I worked with two other RE agents here ...read more »"
"Uzzil came highly recommended by a friend who purchased a home with her assistance. At the time my wife and I were looking for a new home as well as a new agent. We met Uzzil a couple time and found her to be very ...read more »"
"Uzzil is my girl! She was right there right away to show a place even without commitments. Just an honest person and very flexible with her hours. She'll take time to get the house that you would really like and that would really best fit ...read more »"
"Uzzil has helped me find a house that matched very well my criteria I was looking for - location, year built, floor plan. She was very skilled in listening and understanding what I was looking for, and very quickly selected a number of options that ...read more »"
"Uzzil was wonderful to work with, very professional and will go to all ends to make sure you get the house fit for your needs. She was very honest and patient; did not push us into any deals we didn't want. 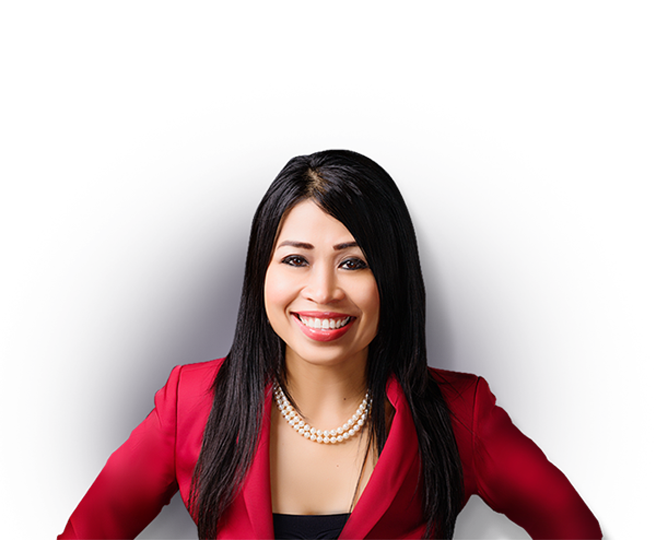 She worked diligently to ...read more »"
"Uzzil is a highly-skilled and effective Realtor with a big heart. From the first meeting until the last, Ms. Batucan skillfully worked out kinks that popped up in the sales process to achieve our desired outcome. A very competent partner to have in any real ...read more »"
"Uzzil is the best!! She is definitely God sent! this was our first time purchasing a house and she made it easy. too easy at times. She is very patient (after looking at about 15 houses) and answered every question. Thank you so much for ...read more »"
"Uzzil is a very hard worker. Unlike other agents she represents the best interests of her customer at all times. Her level of professionalism and integrity are unsurpassed. She is very honest and will bend over backwards to make sure all parties are happy. She ...read more »"
"Uzzil is a wonderful realtor. She has made buying our first home a great experience. She is very knowledgeable and has been patient with us. She encouraged us not to settle for any home and not to commit to anything until we found what we ...read more »"
"Uzzil was amazing. It didn't matter anytime day or night, if I had a question I could call and she would get me an answer. I don't know if she ever sleeps but she sure worked hard on finding me a great home. The market ...read more »"
"Uzzil was incredibly helpful and responsive throughout the process of selling my Anchorage home. In an industry where it feels like everybody is trying nickel and dime you to death, Uzzil was nothing but fair and honest. I do not believe I could have found ...read more »"
"Uzzil was prompt, couteous, honest and represent me quite well in helping me get a home in Anchorage. She kept me informed with any changes happening to the property and provide us with helpful suggestion. She made our house buying an awesome experience. Way to ...read more »"
"Uzzil was great to work with. She took time to understand our needs and specific constraints without reservation. We were able to sell our house in the middle of moving out of state with the reassurance that we were taken care of properly. It was ...read more »"
"Uzzil was extremely helpful every step of the way. As a first time homebuyer, I didn't have a great idea about what I was doing and what all that real estate mumbo jumbo really meant. But, Uzzil was on top of it every step of ...read more »"
"We have worked with Uzzil during the purchasing process of our home and a multi-family residence. She has provided us with sound guidance along the way and is great at diffusing stressful situations. Uzzil is very professional, devoted to her clients, polite and extremely knowledgeable. ...read more »"
"Words cannot fully describe the amount of gratitude I have for Uzzil. I am currently deployed, my husband is out-of-state, and we are new at home purchasing That right there is enough for a real estate agent to run the other way, but not Uzzil! ...read more »"
"I would like to say THANK YOU to Uzzil for helping us in every step of the way to purchase a house. We absolutely adore her professionalism. From the very start of the house hunting, we knew without a doubt that we were in good ...read more »"
"Uzzil helped us buy our first home and she made it such an awesome experience. She made everything fairly stress free. She is the hardest working person I think that I have ever met. She was available anytime to answer any and all of our ...read more »"
"As a first time home buyer the process was very smooth and quick. She provided helpful information and she made sure I was aware of any possible problems. I enjoyed working with her and her staff. " "Uzzil was awesome! My husband and I were in different states while trying to buy a house and she was so accommodating and understanding. She was super efficient in showing houses to my husband and immediately understood what we wanted, making the initial selection process ...read more »"
"My family is a military family. So, we bought a house in AK before we were even in the state. We were really nervous about buying a house without seeing it. Uzzil bent over backwards for us and got us a dream home at a ...read more »"
"Uzzil was always available to answer questions. She guided me to the homes that were exactly what I was looking for. Paper work was provided through docusign and I was able to complete all of it while in the remote areas of Alaska. She understood ...read more »"
"Uzzil is very industrious and puts her clients first. She always made herself available on my schedule and is very familiar with the area. She also knows everyone in real estate so has connections where other realtors may not. She has a network of lenders ...read more »"
"Uzzil is the best agent I've worked with - ever! She was very patient, kind and knowledgeable. She worked tirelessly to find my family our new home over a 6 month period - anyone else would have just lost interest. I can't recommend her highly "
"Uzzil helped us sell our 4plex. She is very professional, honest and considerate. Excellent communication skills and great customer service. She was always available to answer our questions. She is very knowledgable with what she does. HIghly recommend her to assist you with either buying ...read more »"
"Uzzil went above and beyond when my husband and I purchased our first house. She was easy to talk to and competent. She was in every step of the way helpful and insightful. She is an amazing realtor and we are satisfied with her service. ...read more »"
"Uzzil is an excellent real estate agent. Her professionalism is undoubtly beneficial to the real estate community whether you are home buyer or home selling. Her detail to attention helps my home buying effortless. 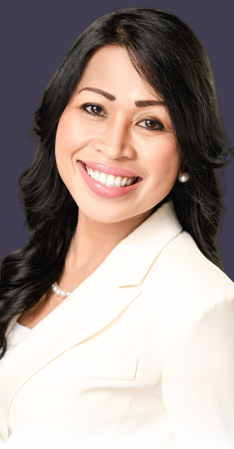 Her team and her dedication to detail saves us money in ...read more »"
"Uzzil Batucan is without any doubts the best realtor Anchorage has to offer. She's a very hard worker ( seems like she never sleeps ), always very positive, honest, profession and truly cares about her clients. 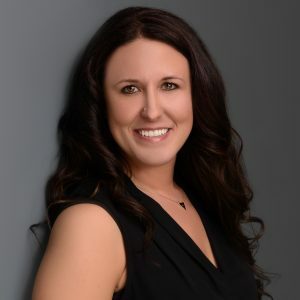 She was willing to work with me at any ...read more »"
"We have recently completed our second real estate experience with Uzzil; our first time was a few years ago. 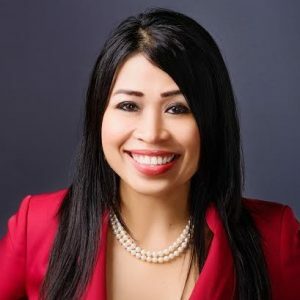 It went so well, we immediately thought of her when we needed a real estate professional again; there was never any question about the person we ...read more »"
"Uzzil did a wonderful job helping us sell our home very short notice. I was a bundle of nerves but she was very calm, assuring and knew the market well. Uzzil is a workaholic and responded to any concerns I had almost immediately; she even ...read more »"
"Uzzil went above and beyond. She has provided us with sound guidance along the way and is great at diffusing stressful situations. Uzzil is very professional, devoted, polite and extremely knowledgeable. She was in every step of the way helpful and insightful. She made our ...read more »"
"We are a military family that just moved from Utah to Alaska and we worked with Uzzil to buy our house. We absolutely loved her and Nevie! Uzzil went above and beyond showing us our house over skype, helping us buy our house from a ...read more »"